It’s not easy to figure out the best way to waterproof a concrete foundation. There are several products and techniques for waterproofing a foundation. There are also strong opinions favoring one method over another. Like many home repair jobs, foundation water problems typically can't be solved with a single product or treatment. 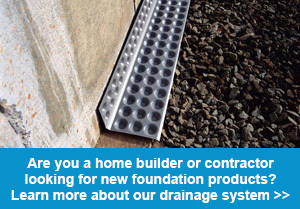 Basement Systems' contractors specialize in designing waterproofing systems to fit the individual needs of each home. Contact your local waterproofer today to schedule an on-site evaluation and estimate. Dampproofing is often mistakenly referred to as a waterproofing method. When a home is being built, a waterproof coating is often applied to the foundation. Dampproofing is intended to keep out soil moisture, but not liquid water that enters the basement through gaps, cracks and holes during construction. Waterproofing keeps out both moisture and water. Dampproofing is a coating that's usually asphalt-based and is either sprayed on or brushed on to the outside of the foundation walls. In many states, building codes require dampproofing. Waterproof coatings have several drawbacks, including an inability to seal large cracks or holes and the risk for damage caused by backfill that's coarse or improperly installed. Moisture seepage through a foundation wall can destroy the bond between the waterproofing paint and the concrete. Waterproofing paint is a common do-it-yourself waterproofing choice. Most waterproofing paint is a thicker version of acrylic paint that you would use to paint the walls in any other room in your home. Applying waterproofing paint to the inside of your basement walls won't stop water seepage through cracks or porous concrete. Bubbles can eventually form under the paint and cause it to peel off the wall. 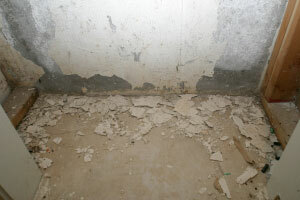 The paint can also trap condensation inside the foundation wall, contributing to bigger, more expensive problems. Waterproofing paint is often regarded as a cosmetic fix and doesn't work at all if the source of the water problem isn't addressed. 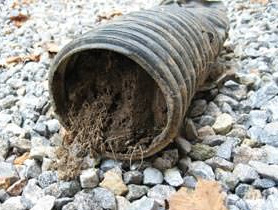 Plastic drain pipes installed around the exterior of a foundation often clog with dirt and plant roots. Exterior foundation waterproofing involves digging down to the foundation footer to install or replace drainage pipes, commonly known as a French drain system. Sometimes a waterproof membrane is applied to the outside of the foundation wall to prevent water infiltration. Exterior foundation waterproofing is more expensive than other methods due to the excavation. Another downside is the disruption to landscaping, porches and driveways. French drains can also be crushed during the backfill process and often clog with silt and plant roots, even when installed correctly. 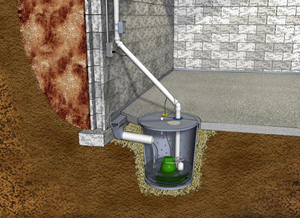 The most popular way to keep a basement dry is to capture and remove water with a perimeter drain and sump pump system. Interior waterproofing is the least disruptive method. An interior drainage system addresses hydrostatic pressure, or the pressure of groundwater forcing its way through the basement walls. The interior perimeter of the concrete floor is jackhammered and drainage piping is installed, routing water that enters the basement to a sump pump system that actively removes the water. A backup battery-operated sump pump is often recommended to prevent flooding of the basement during a power outage. Basement Systems' WaterGuard® drainage pipe is a clog-free interior waterproofing system that captures groundwater before it gets to the basement floor and routes it to a sump pump. Contact Basement Systems to schedule a foundation waterproofing consultation with your local contractor and get a personalized cost estimate on the best solution for your home.